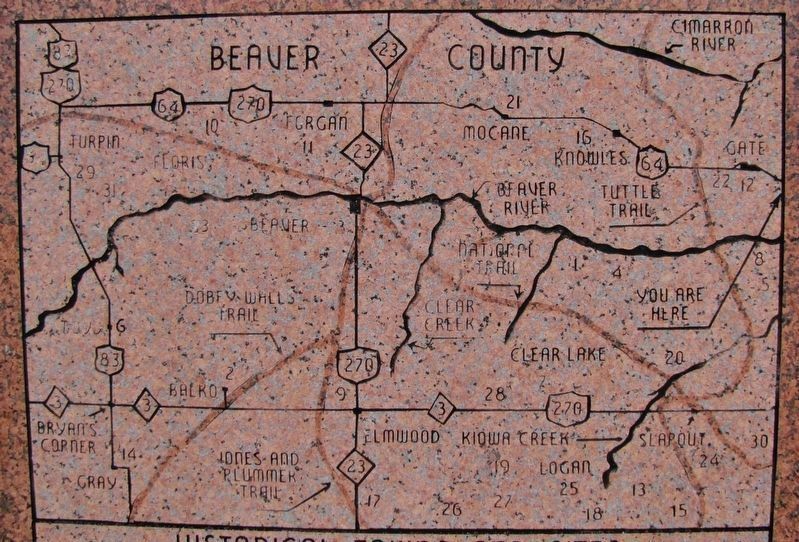 to the newly organized Oklahoma Territory with Beaver City as the County Seat. 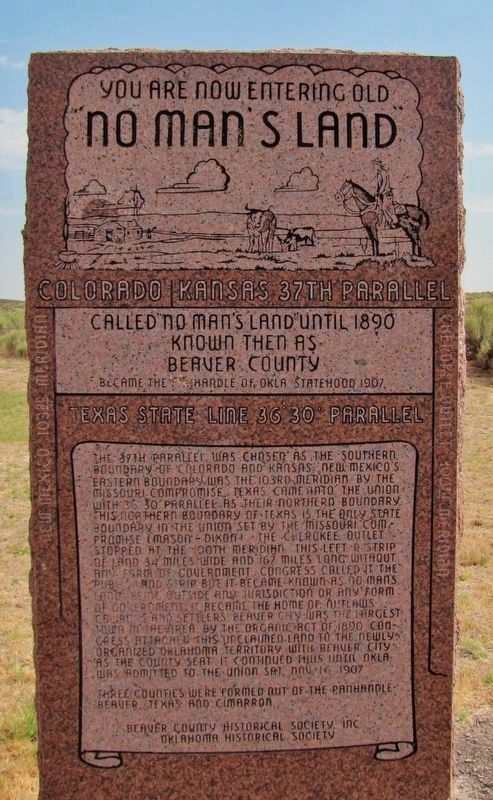 It continued thus until Oklahoma was admitted to the Union, Sat. Nov. 16, 1907. Beaver County Historical Society, Inc.
Erected by Beaver County Historical Society, Inc., and Oklahoma Historical Society. in the Oklahoma Historical Society marker series. Location. 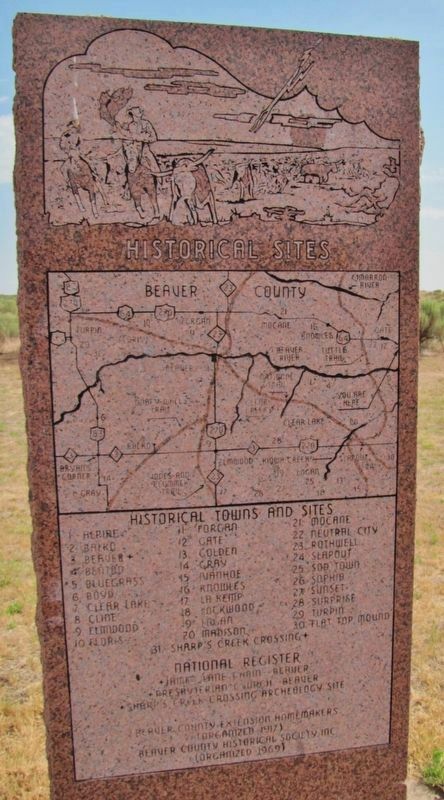 36° 50.282′ N, 100° 0.225′ W. Marker is near Gate, Oklahoma, in Beaver County. Marker is at the intersection of U.S. 64 and N1680 Road, on the right when traveling east on U.S. 64. Touch for map. 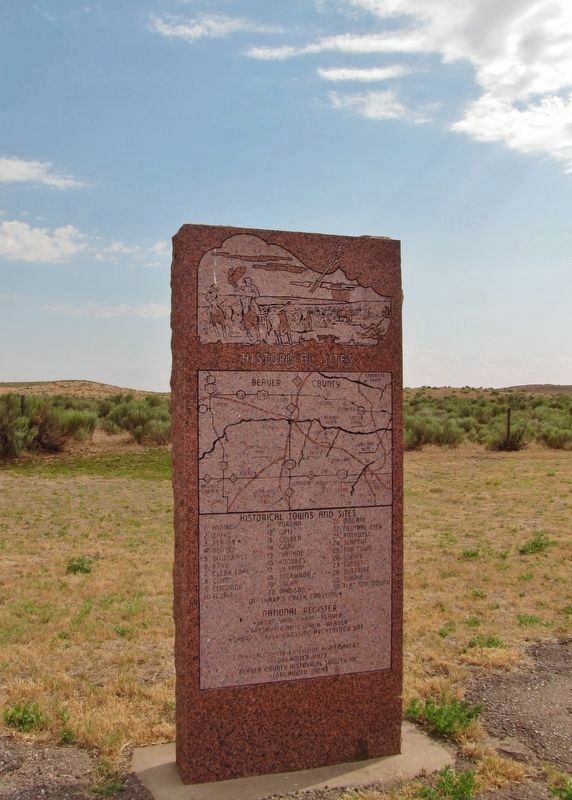 Marker and supplemental Historical Sites marker are located in a large pull-out on the south side of the highway, at the Beaver County/Harper County line. Marker is in this post office area: Gate OK 73844, United States of America. Touch for directions. More. 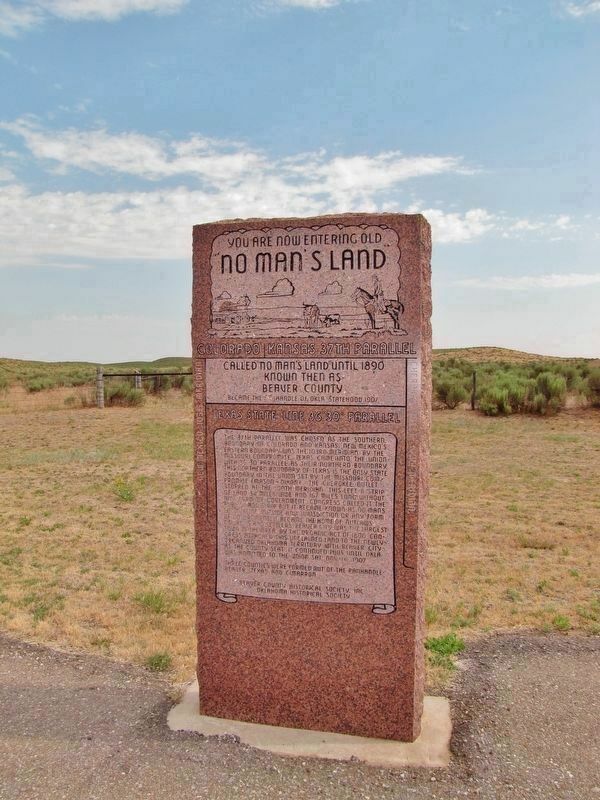 Search the internet for No Man's Land. Credits. This page was last revised on March 25, 2019. This page originally submitted on March 25, 2019, by Cosmos Mariner of Cape Canaveral, Florida. This page has been viewed 87 times since then. Photos: 1, 2, 3, 4, 5. submitted on March 25, 2019, by Cosmos Mariner of Cape Canaveral, Florida.